Got the sublime opportunity to play last Sunday at the Riverwalk Commons with the talented Hayley Carro! Here’s some vizness of the show we did in front of an estimated 400 ppl. Dig that cowbell! If you listen closely, u can hear what’s inside it! Now if only we could mic the cajon that well…. Enjoy! playing music is like reading a good book. & we cant wait for the next installment. mtn dukes had a blast this past weekend at the Eton House on the Danforth in Toronto! a set of mostly oldies followed by 2 sets of our faves from all decades. dig the setup there & the staff are top notch! no way were we gonna drip crazy sweat onstage again so we brought a fan that helped (somewhat… haha). 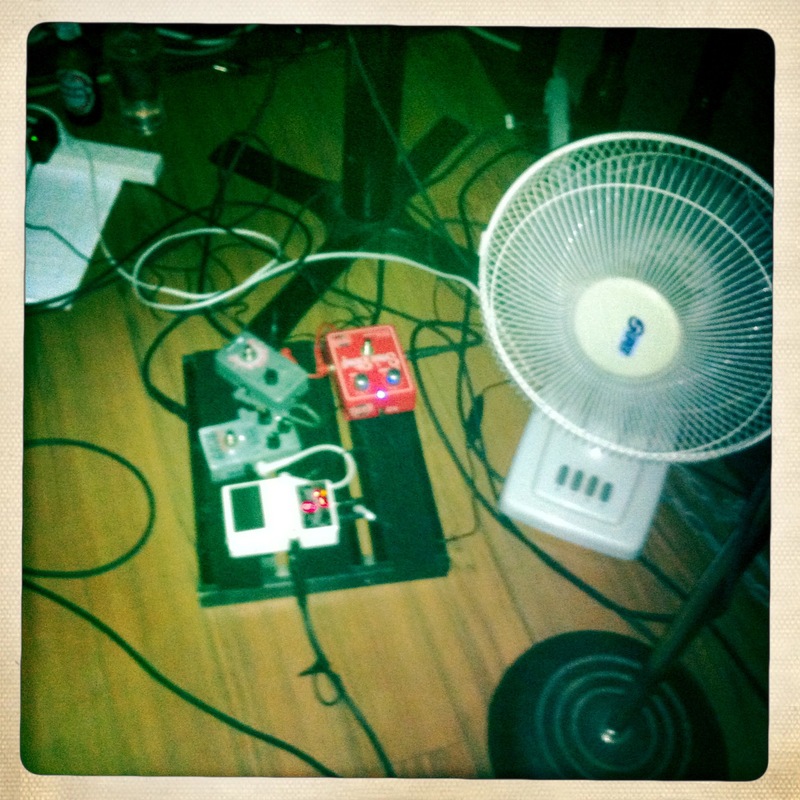 we only managed to unplug ourselves twice during the night and got annoyed at the pedalboard once. pretty much par for the course! so we followed up a gig night with an early morning rise to play a farmers market with the Hayley Carro band. despite our lack of sleep, it was a blast playing rootsy acoustic rock/country material in front of a mixed audience of young & old alike. 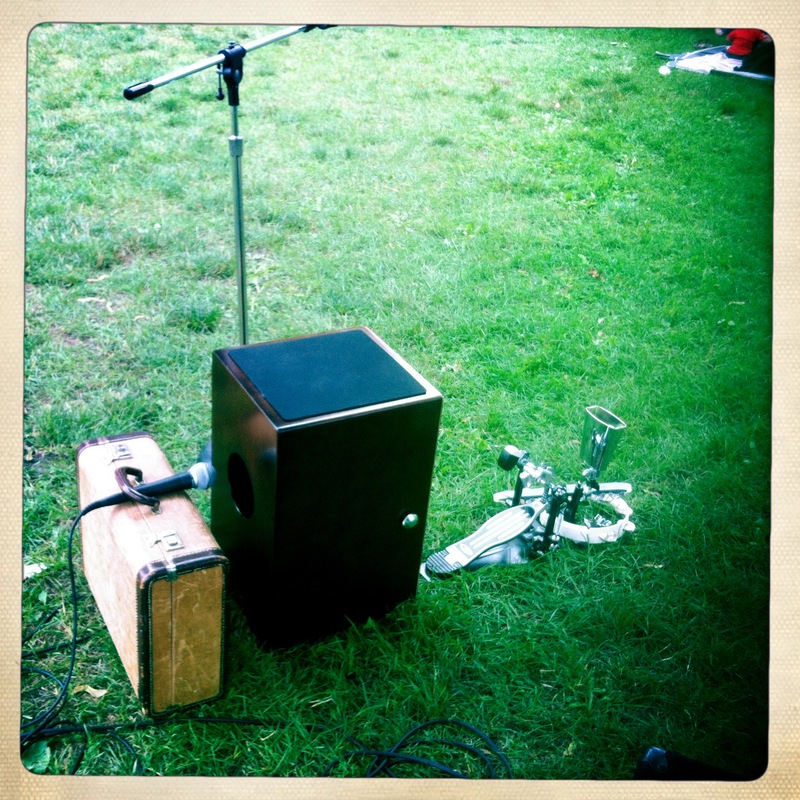 we also got to bust out the cajon & gave the cowbell some good kicks! we love mixing up bass & percussion! 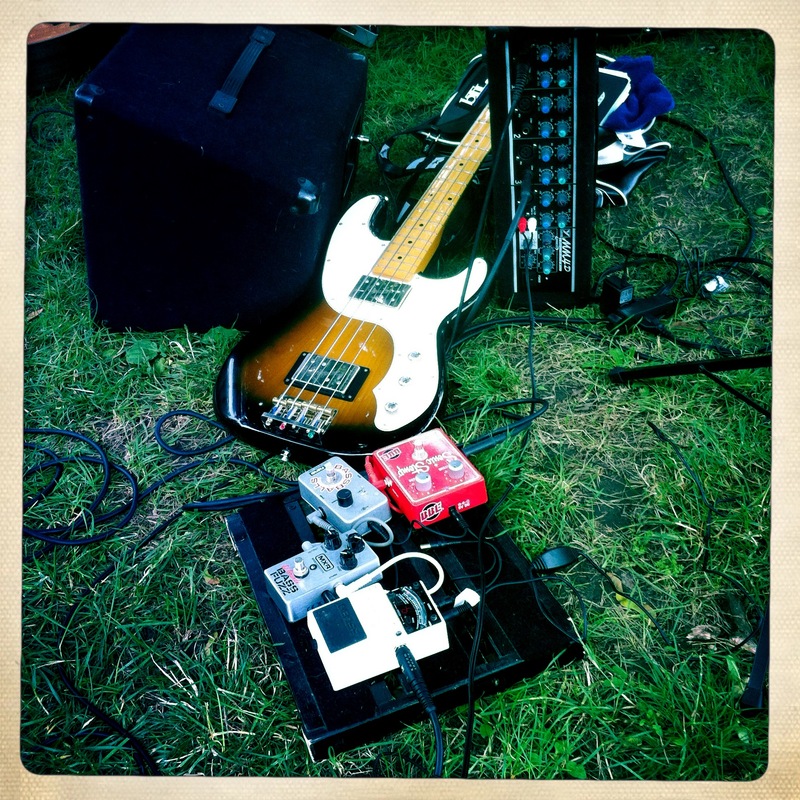 playing some tunes only bass, some only percussion, & some both is fantastic fun! cajon gets out & aboot! 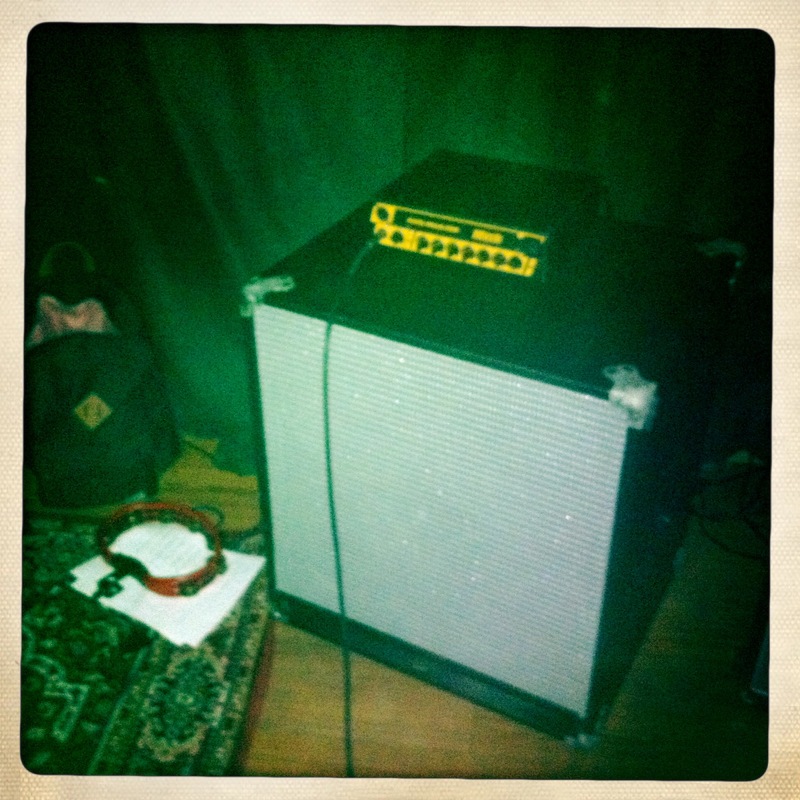 totally dig how we managed to figure out a mic setup that works for the cajon! knew that briefcase would come in handy for more than just carrying gear to gigs one day! feels like us & the briefcase have a new understanding of each other… after all these years! it was a great day of tunes & we met a heap of ppl that were the hilight of our week! 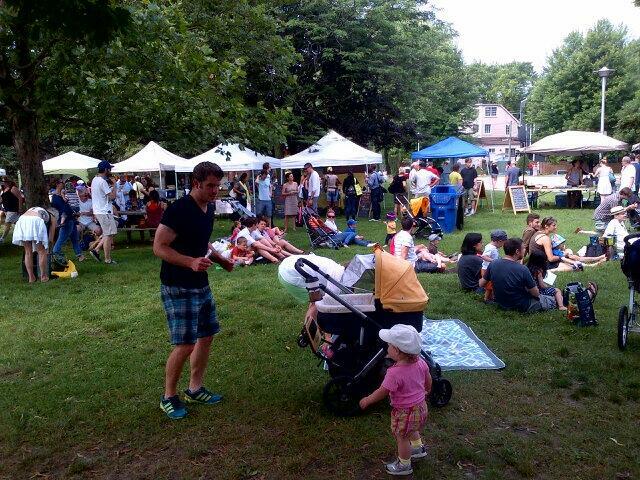 thx to all for stopping, saying hi & groovin’ with us!